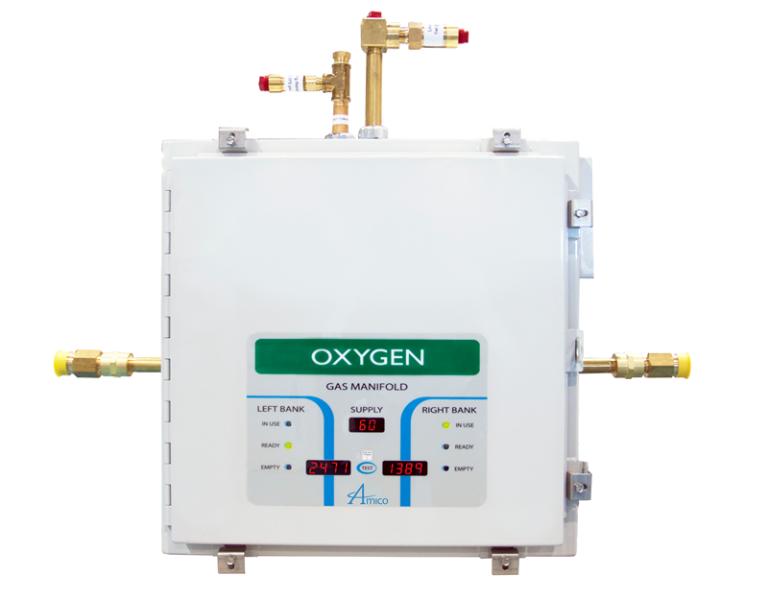 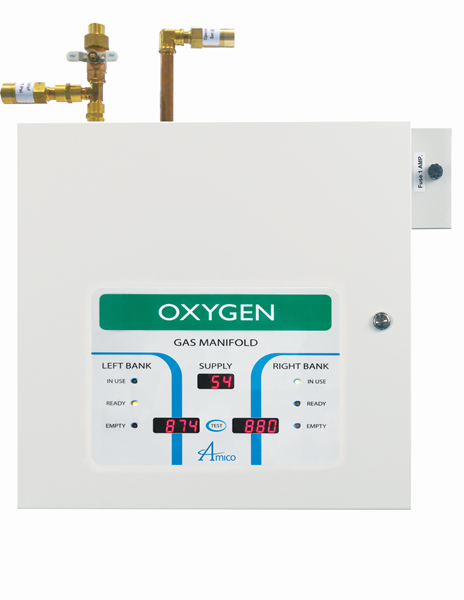 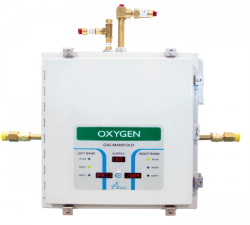 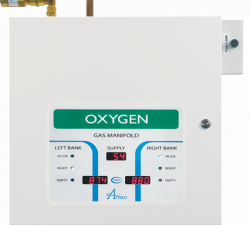 We offer a full line of medical gas manifolds that make using gas cylinders convenient by monitoring and regulating tank pressures, thus providing uninterrupted gas flows. 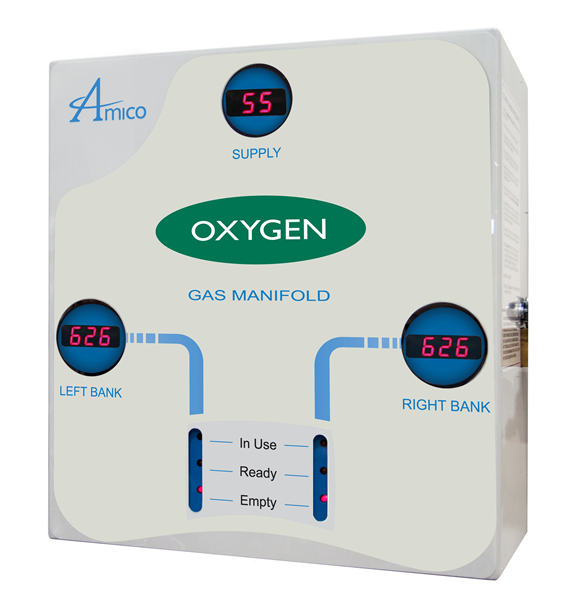 All models are microprocessor based for reliability and easy maintenance and error reporting. 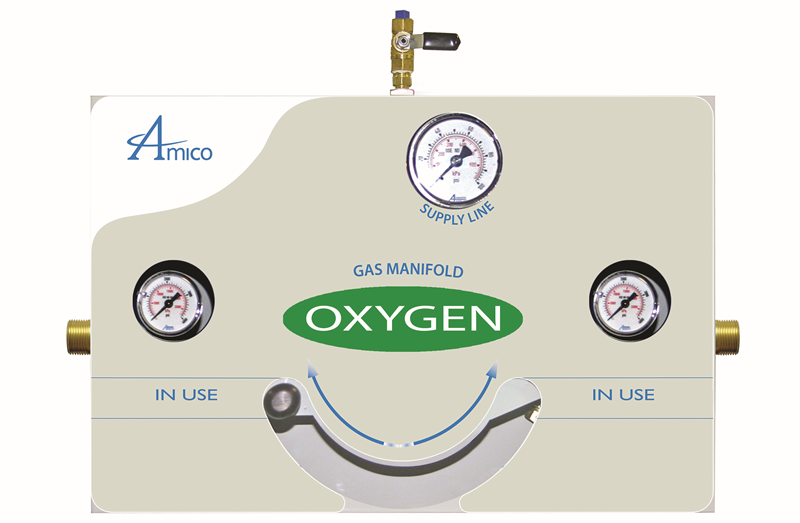 Our Manifolds are available in high pressure or liquid configurations, dome loaded (for automatic change overs) and suttle valve technology. 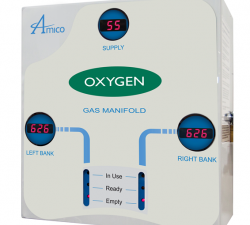 All models come with LED displays to enable viewing of tank levels in dim areas and are available with optional heaters and NEMA-4 cabinets. 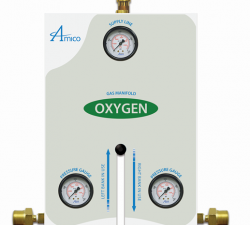 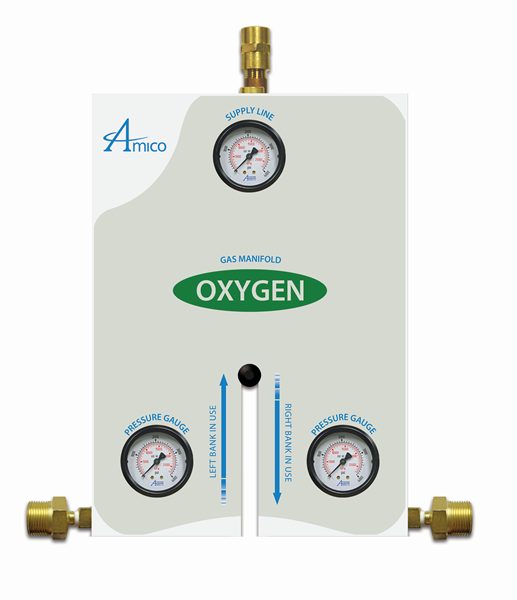 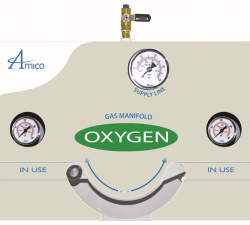 Contact ARTEC Environmental for more on our Medical Gas Manifolds.